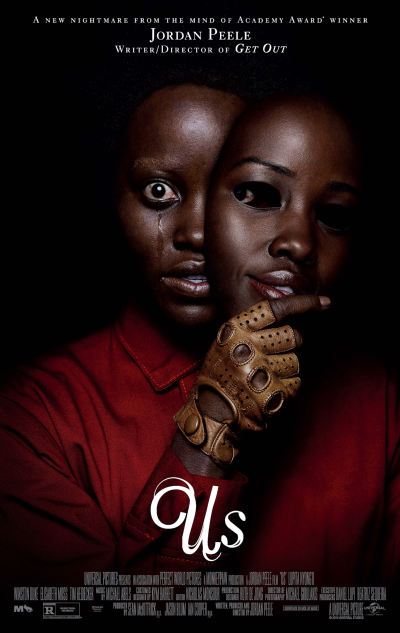 Jordan Peele’s Us is the first standout horror film of 2019. The follow-up to his 2017 debut Get Out, Peele comes into his own here as a director, with hypnotizing camerawork and a white-knuckle script that sees star Lupita Nyong’o (Black Panther) deliver her best performance to date. Us is an ambitious, engaging, and, most importantly, scary movie that proves Peele is a filmmaker worth following. Adelaide Wilson (Lupita Nyong’o) is a wife and mother reeling from childhood trauma. Her goofy-but-loving husband Gabe (Winston Duke) hopes the annual family vacation with affluent friends Kitty (Elizabeth Moss, Mad Men) and Josh (Tim Heidecker) will lighten her spirits a bit. With bags packed and children (Shahadi Wright Joseph and Evan Alex) in the back seat, the family hits the beach for some fun in in sun. However, when night falls, the Wilsons are terrorized by people who look exactly like them (with each actor playing their creepy counterpart). Now the family must band together, get to the bottom of things, and try to survive the night. If that sounds like a garden-variety home invasion movie a la The Purge, it’s only because going deeper would spoil the twists and turns Us takes. While Get Out didn’t win me over as much as many others, Us had me on the edge of my seat from start to finish. Jordan Peele knows exactly what he’s doing here, using long camera shots, a fantastic score, and a smidgen of humor to craft something I’m sure will be debated for years. The kills are graphic without going overboard, and the characters mostly react like real people as opposed to the dummies that normally inhabit horror flicks. Us may be too strange for some, but those who go with it will find a gonzo, all-out horror film that will stick with them long after the credits roll. See Us.